Annabell Cadiz was born in the sweltering heat of South Florida. She was raised surrounded by Puerto Rican chefs and band of siblings that weren’t all related to her. 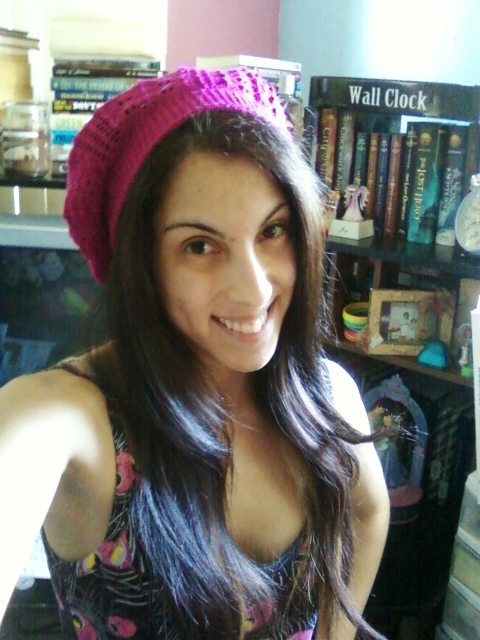 A self-proclaimed nerd and book-a-holic (her room does hold much evidence to prove her claims are justifiable), she created TeamNerd Reviews to showcase her EXTREME love for novels where, along with her best friend, Bridget Strahin, she hosts book reviews, interviews, giveaways, Indie Shoutouts and much more. She also had the pleasure of being published in three separate issue of Suspense Magazine. She also adores Cinnamon Teddy Grahams, has an addiction to Minute Maid Orange juice, and is a proud Jesus Freak. 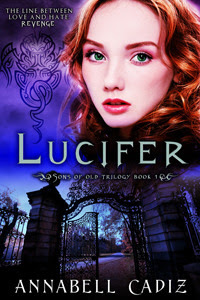 LUCIFER is the first book in the SONS OF OLD TRILOGY and she is working on getting MICHAEL, the second book in the trilogy ready for Summer 2013. Michelle: What is your favorite flavor of ice cream? Annabell Cadiz: I’m old school. I LOVE vanilla ice cream, particularly fond of Haggan Daz vanilla ice cream *yum* OR the Vanilla Bean flavor. SOOOO GOOOD! Michelle: What is your favorite thing to eat for breakfast? Michelle: Night owl, or early bird? Annabell Cadiz: I can be both. Depends on why I’m choosing to either wake up early or stay up late. I have a big family so sometimes I don’t have a choice as to when I will either wake up or go to sleep =P I do prefer writing at night. It’s the time I get to unwind where I’m not running around all over the place. Michelle: One food you would never eat? Annabell Cadiz: Frog legs is the first thing that came to mind (although, I’m sure there is a lot I’m not willing to eat i.e. road kill *shivers*). I don’t understand why anyone would find frogs something delicious to consume. They’re slimy, smelly, and full of flies. Ew, no thank you! Annabell Cadiz: Awe man, that’s a toughie! I LOVE both. I mean one is sugar and the other chocolate. How can one choose between such yummy snacks? *hehe* BUT I can eat Skittles like nonstop. I especially love the green and yellow ones! Michelle: When you were little, what did you want to be when you "grew up"? Michelle: You have won one million dollars what is the first thing that you would buy? Annabell Cadiz: A mansion for my parents. They deserve to be treated like the king and queen they are. Michelle: What movie are you looking forward to this year? Annabell Cadiz: Oh man, there are a lot of good movies coming out this year. Or well, potentially good movies. DEFINITE MUST to see this year, IRON MAN 3!! I flippin love Robet Downy Jr. as an actor and those movies are ridiculously awesome. I’d also probably say it’s a tossup between Beautiful Creatures (coming out FEB 14), Sea of Monsters (the second book in the Percy Jackson Series, coming August 16), and City of Bones (August 23). Those are all books I really loved and enjoyed, so I’m hoping the movies come out just as good. Annabell Cadiz: Dorian Gray by Oscar Wilde. That book is written BEAUTIFULLY. It’s a story that will stay with you. It’s raw, dark, and real. It’s too bad Oscar Wilde was never able to write any more books, just the one. I’m sure he would have written even more powerful books. Michelle: What is next on your to read list? Annabell Cadiz: Um, if you could see my TBR list, you wouldn’t ask that question LOL Next few books will be: The Puppet Spell by Emma L. Adams, Timekeeper by Alexandra Monir, The Dead and Buried by Kim Harrington. Michelle: Any other books in the works? Annabell Cadiz: Well, I’m working on MICHAEL, the second book in the SONS OF OLD TRILOGY, which I’m aiming to publish Summer 2013, and am aiming to have NEPHILIM, the third book in the trilogy to come out later this year. There is the four book FALLEN ANGELS SERIES that comes after the SONS OF OLD TRILOGY. I also have plans to write a book featuring sirens and mermaids and possibly a book in the Christian genre. Not sure yet. Right now, just focusing on SONS OF OLD TRILOGY. Purchase on Barnes and Noble and Amazon. 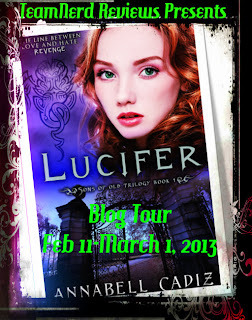 Get a FREE digital autograph from Annabell Cadiz!